Today is the last day of the Write 31 challenge. I can’t believe it’s over. 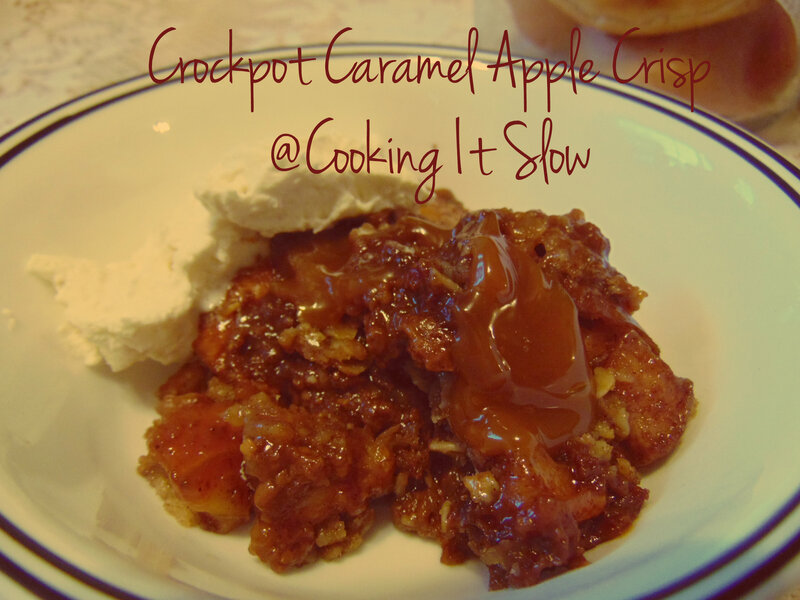 During the challenge, I have cooked a lot of meals and desserts in the crockpot. It’s been a fun experience. In fact, as I am typing there is chicken and hamburger meat cooking for later meals. I’m going to continue cooking dinners in the crock pot. During the month, it’s been a much easier way to get dinner on the table which is much less stress on my part. One thing I would love to do is more freezer kits and share them with you. 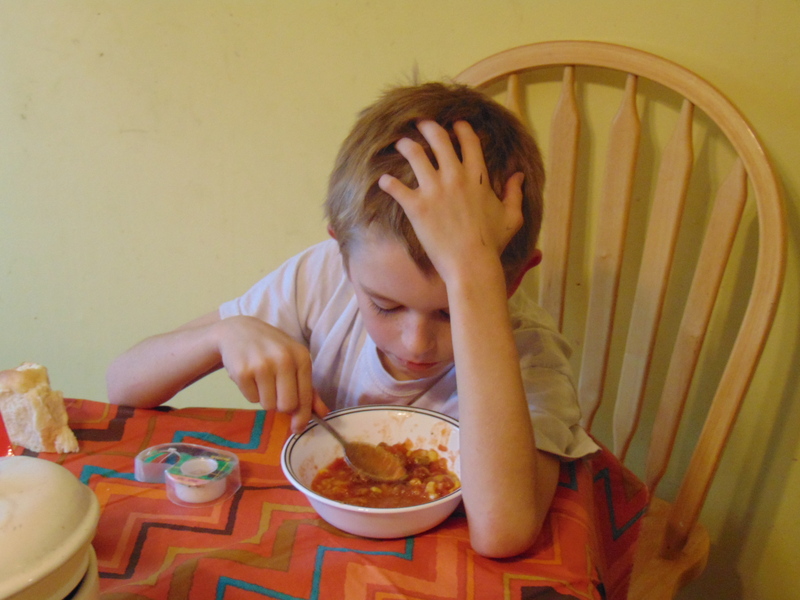 Here is a list of some of my new and some old blogs that feature crock pot meals. I’ve shared a few of them on my menu plan Monday blog posts. Here are 23 of the recipes I’ve shared over the course of the last 31 days. I hope you enjoyed the recipes I’ve shared. Tomorrow is the last day of the writing challenge. I’m getting ready for my next two series. They won’t be as intense as the 31 writing challenge. The first series is a countdown to Thanksgiving series. I have some crockpot meals for sides and even a turkey recipe for the crockpot. My plan is to have a printable Thanksgiving menu the week before Thanksgiving. The second series is a countdown to Christmas. I already have recipes of the I’m Hungry cooking blog. We are going to revisit some of our favorite Christmas cookies and treats. The Imaginative One loves this time of the year because he loves taste testing the goodies. I’ve already tasted two of the recipes for the countdown to Christmas. Both the Wee One and the Imaginative One LOVED the first one. Only the Wee One has tried the other one. He kept going back for me so I think that is a sign that he LOVED the other treat. As I have said in other blog posts, we eat Sunday night dinner with my mother-in-law. Twice during the month of October, we also invited another member of our church to our Sunday night dinner. On the 11th, I decided to cook chicken Parmesan in the slow cooker. 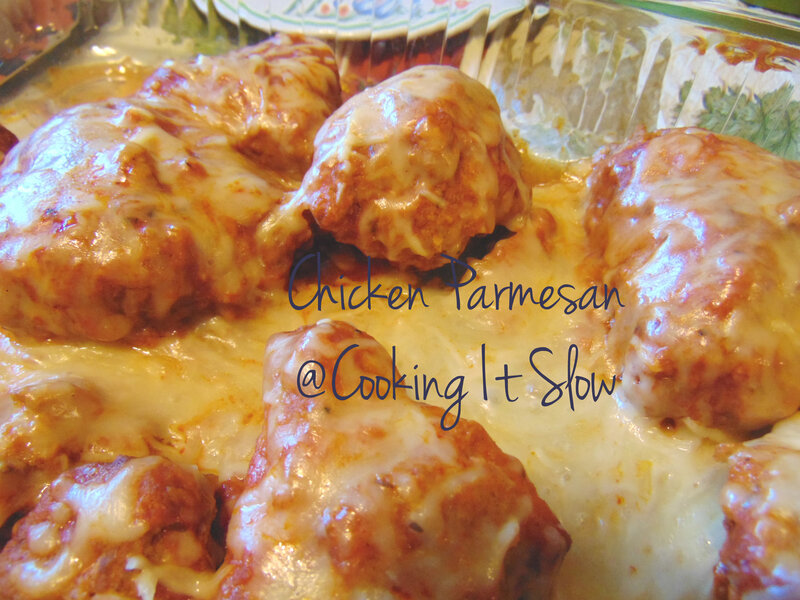 Chicken Parmesan is one of my mother-in-law’s favorite meals. Everyone raved on the deliciousness of the meal. About a half an hour before the dinner, I took the chicken out of the crock. I placed the chicken pieces in a casserole dish and then sprinkled Parmesan cheese over the chicken. Then I put it in the oven for a few minutes to allow the cheese to melt. Yes, I know this is another soup recipe. 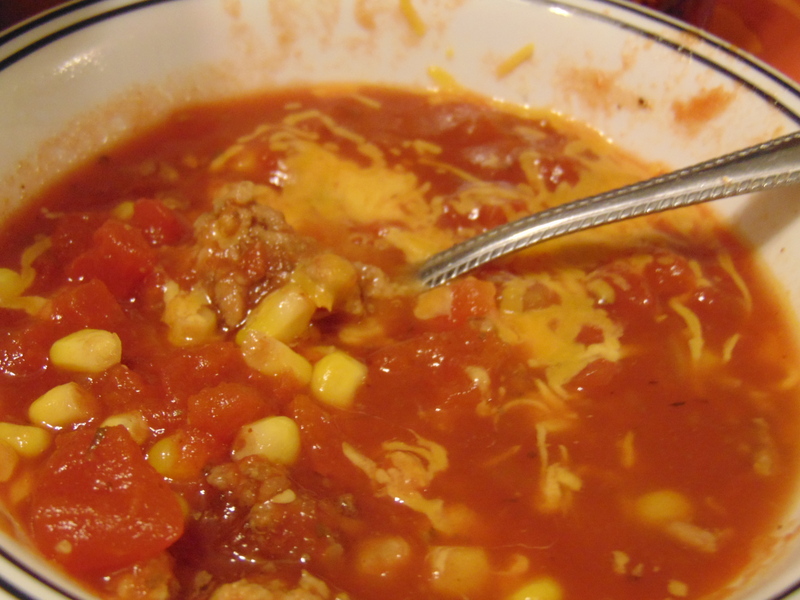 We had lots of rain on Tuesday and Wednesday so it was a good thing I had the taco soup on the menu for Tuesday. 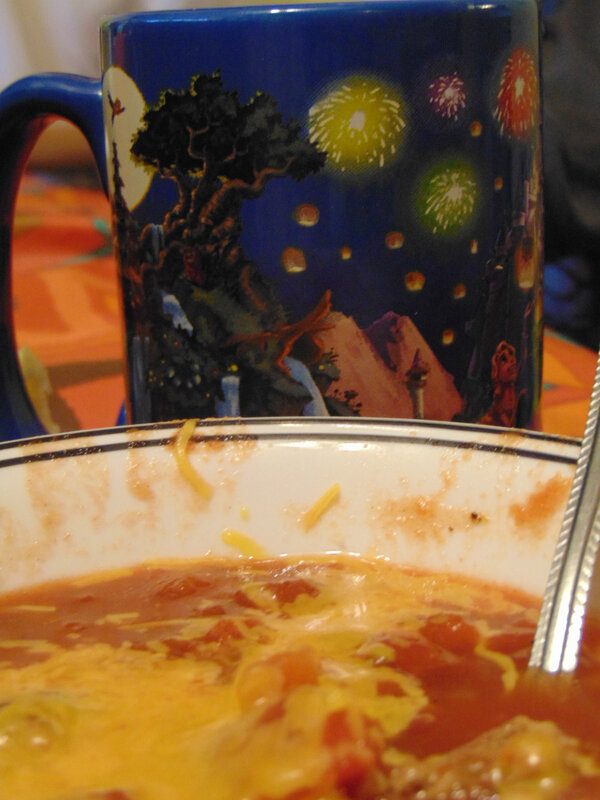 There is something about soup on a dreary day. It helps brighten your soul. The Wee One loves tacos so I thought he would like this soup. He probably would have liked it better if I served it with tortilla chips. Hubby and I loved the soup. It’s easy to put together in the morning. The soup uses ingredients that most people have in the pantry. The boys decided they wanted me to take a picture of them. I was trying to get a picture of the soup. This is the Wee One taste testing the soup. I have no clue while he is holding his head. Top with your favorite toppings – cheese, sour cream, etc. . .
On Friday, Wee One and I went to a bonfire. Since we were going to be eating yummy food there, I planned to have a light dinner so we were NOT too full. So I chose to make tomato soup and grilled cheese. Yum! The Wee One and I had fun at the bonfire. I made some Boo Mix to share. It was a big hit with everyone who tried it. Tonight I’m extremely unmotivated. We had a three day weekend because of parent teacher conferences. I taught students all day and then had a 2 hour training. I’ve got to come up with a lesson plan for when I’ll be observed by my principal. My brain cells have been overextended. On Sunday, my father-in-law informed us he was cooking a chicken for Thanksgiving. There was going to be only 6 of us for dinner and he didn’t want to deal with all the left-overs. The family convinced him that he needed to make a turkey. I wanted to help make the dinner so I decided what I was going to bring. One of them items was going to be homemade cranberry relish. Yesterday I stumbled on this recipe. Earlier in the week I had created a list of things I needed from the store. One of the items was an orange for the relish. My husband went shopping but didn’t buy an orange. His reasoning was I had oranges at the house. I have grapefruit and clementines but no navel oranges. So I made a trip to Save-A-Lot to go get the oranges. Boy I’m glad I did. This recipe is easy and the end result was delicious. Cut off the remaining outer peel and pith and discard. Cut the peeled orange sections into small chunks and add to the slow cooker along with cranberries, sugar, cinnamon, and zest. Since my brain cells are overextended, I’m going to leave out the blog spotlight for the week. The Imaginative One LOVES apples. Actually that’s understatement, he adores apples and will eat all the way to the core and even around the seeds. He loves to pack them for lunch. 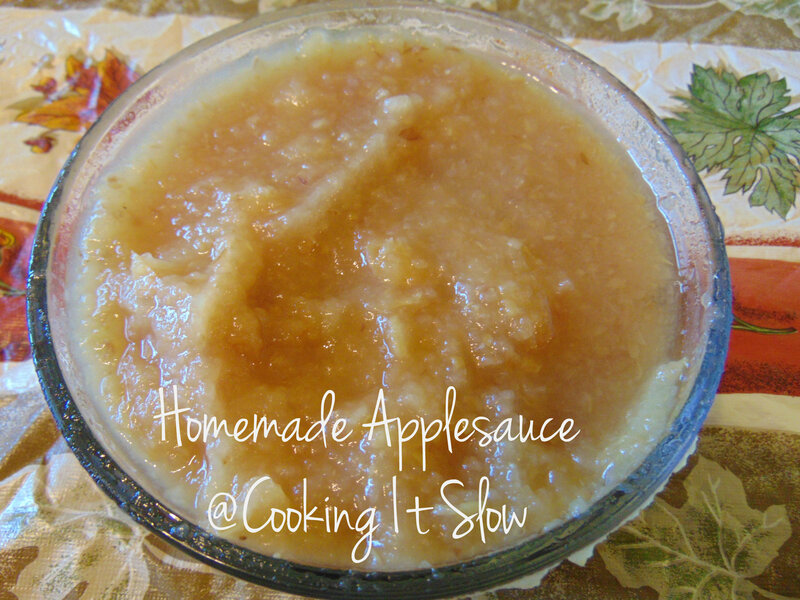 Since it’s fall, apples are plentiful so I decided I was going to try to make some applesauce in the crock pot. I’ve made it on the stove so I followed the same method but in the crock pot instead. While the apples were cooking away, the boys and I went on an adventure. The Dayton area is where the Wright Brothers lived and tested out the airplane. I’m so fortunate that I live about 5 miles away from where they tested the airplane after the December 17, 1903 flight. We went to the Interpretive Center and then down to the Huffman Dam that was built after the Great Flood of 1913. After we were done with our walk, we drove through the local university because it has beautiful fall foliage especially in one area. Click on the picture to see more pictures from our adventure. Place in a 2 – 3 quart crockpot. Add water to just below the top of apples. Cook on low for 3 to 4 hours until the apples are tender. Pour out the majority of the water. Next week is the last Saturday of the 31 day writing challenge. The family has enjoyed all the meals, desserts. and sides created in the slow cooker. It’s renewed my interest in cooking. The family never knows what I’m whipping up in the kitchen. This week I’ve shared two of our favorite ways to cook meat. Crockpot BBQ ribs – Our favorite brand of barbecue sauce is Sweet Baby Ray’s Barbecue Sauce. You could also use my recipe for root beer barbecue sauce. My family loves homemade whipped cream. We eat it on desserts such as the crockpot caramel apple crisp or put it on fancy coffee drinks such as pumpkin spice latte. This is an easy recipe. Actually I usually start the whipped cream in the mixer while I’m finishing up other dishes. Don’t worry I still keep an eye on it. I use my Kitchen Aid to make the whipped cream with the whisk attachment. You could make this with a hand mixer also. Place all 3 ingredients in the mixing bowl. Starting on the lowest speed, whip up the whipping cream. After 2 minutes, increase to a higher speed. Whip for approximately 3 more minutes until there are peaks and it holds its form. Enjoy on your favorite dessert, fancy drink, or even it’s own.